Back in May, I posted about my quest to eliminate some of the toxic cosmetics and other products from my life. After some research, I decided to try out henna to color my hair. Henna is a pretty big commitment.. once you put it on your hair, you can’t go back to traditional hair color because henna coats the hair strands and makes them unable to absorb color properly. Also, the color is unpredictable. My friend Amber told me that there are lots of ways to counteract too-orange hues, like lemon juice, but that it’s different for everyone. And it takes a time commitment – hours of your day spent with a head full of henna. It’s not for the instant gratification seeking person. 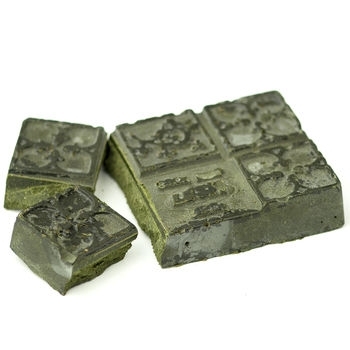 But on the pro list for henna, it is healthy for your hair. Unlike dye, it’s not a chemical. It’s simply a flowering plant that stains hair. It improves the strength and health of hair. You can leave it on for long periods of time (overnight, even). After a LOT of reading on it, I decided to give it a shot. So, here’s the process I used, and hopefully it will help you if you decide to try it yourself. First, I used Lush brand block henna in Caca Rouge. You can buy it online or in stores, for about $25. For my medium-long hair, two blocks (of six in the pack) is sufficient. First, break up the henna in a bowl. 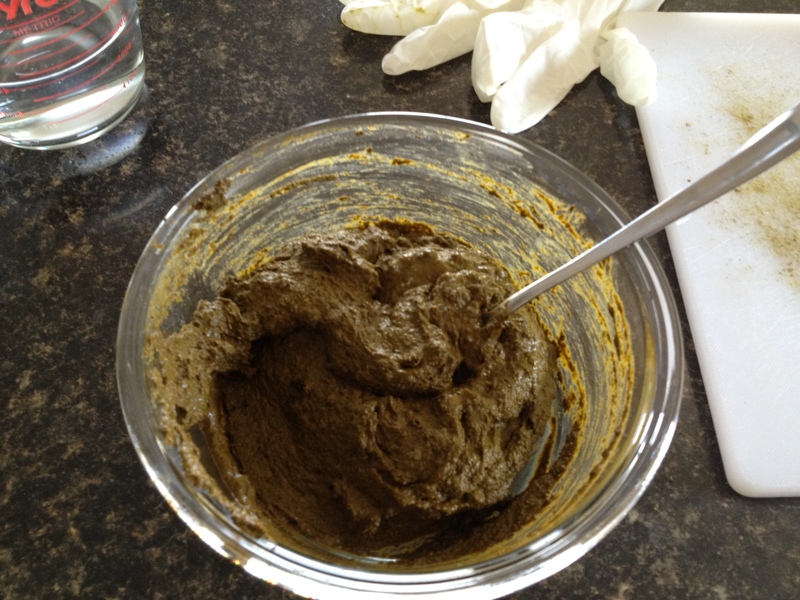 Pour hot water over the blocks and steep/stir until the henna has a yogurt-like consistency. I learned the hard way that thinner is actually better.. I globbed the first bit on far too thick. Looks really gross, right? Well, it smells like patchouli and dirt and chai tea. Which, if you’re me, is a good thing. Starting at the nape of your neck, apply henna to your hair in sections. You will need to kind of rub/massage it in to coat all the strands. 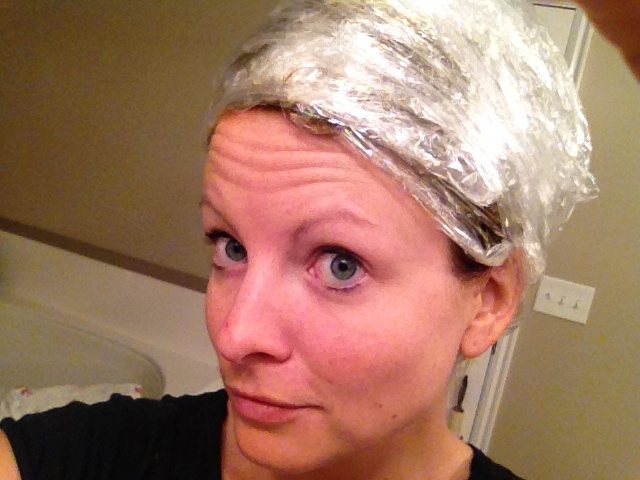 Once your hair is covered completely, cover your hair in Saran wrap. Then.. rock that look for at least 2.5 hours. I left mine on for three and it was a killer, being housebound on a weekend. But think of all the things you can accomplish when you can’t leave the house! It was a cleaning spree day for me. When you can’t stand it on anymore, wash it out. I rinsed for quite a while, adding a bit of conditioner as I was going to help separate the strands. It feels and acts like caked-on mud and takes a lot of patience and gentle rinsing to get it out. 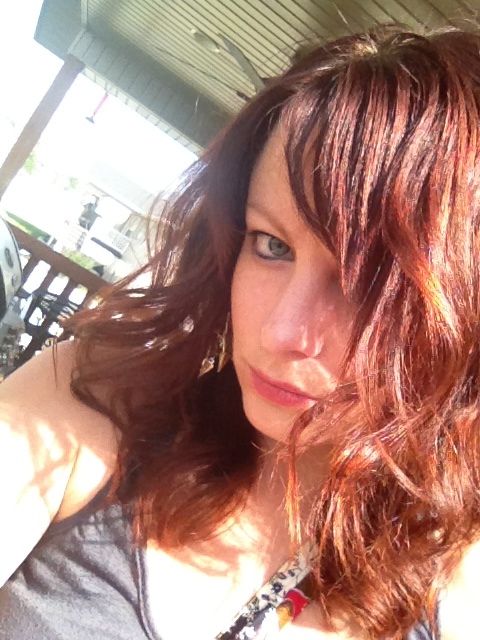 Once I did, I styled it up and it felt SO soft and healthy! I couldn’t believe the difference. The color was nice, but not really different, until I went in the sun. Red highlights! Verdict – I love it! Five days later it has fully developed, and it feels great. My hair feels less fine, too, less fly-away, which may be due to the strands being coated a bit. I can’t wait to try a few variations next time (like adding coffee instead of water to tone down the red tones a bit). My hippie henna head has me inspired to be nicer to my hair more regularly so I have also been looking into hairstyles that don’t require heat tools. 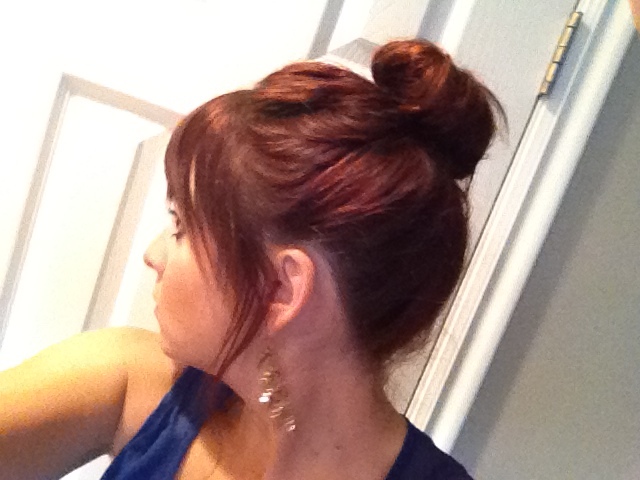 Have ya’ll seen all the sock buns on Pinterest, or elsewhere on the Web? Even with my layered hair, I was able to follow this tutorial. No heat, no sprays, and it held all day. I love it! My boho granny used to always henna her hair, so I always associate it with those artsy literary types. Since I want to be that way, I may have to try it, too. So you can’t color your hair after, but you don’t have to always keep up the henna, right? Previous Previous post: pretty new things.